As Bermuda headquartered insurance and reinsurance group Hiscox continues to grow its use of third-party reinsurance capital and insurance-linked securities it is planning to launch a number of collateralised reinsurance funds in 2014. Hiscox has leveraged third-party capital in a number of forms over the years, from quota share partners, syndicate names at Lloyd’s of London, its partnership with Third Point Reinsurance in its catastrophe fund and sidecars including the collateralized reinsurance sidecar Kiskadee Re that it launched this year. Hiscox group also showed its determination to become a player in the ILS space with creation of a new role at reinsurer Hiscox Re of Director of Insurance Linked Securities (ILS). Hiscox faces the same competitive threats as other reinsurers currently, with reinsurance rates having declined due to growing competition, from well-capitalised traditional reinsurers as well as non-traditional reinsurance capacity, and a relatively benign catastrophe loss year. The result of this competition is that Hiscox has seen a 10% reduction in reinsurance rates year-on-year across its entire book of reinsurance business. Hiscox also expects to see further rate declines at the January reinsurance renewals. 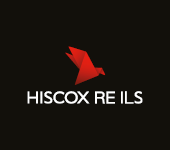 In response to the changing, and more competitive, reinsurance marketplace Hiscox said in its third-quarter results statement today that it will continue to reduce its exposures and also look to develop new opportunities in the insurance-linked securities (ILS) space. In its results statement published this morning, Hiscox affirmed the importance of third-party capital partners to its overall business. In total at the January renewals the firm expects to deploy $250m of collateralized capacity, both its own and third-party, at the forthcoming January renewals. As it continues to develop and grow its ILS activities Hiscox is moving into ILS fund management. To take further advantage of the heightened interest in reinsurance from institutional and capital markets investors, Hiscox said that it expects to launch a number of collateralised reinsurance funds next year. Managing collateralized reinsurance vehicles containing third-party capital from external investors seems to be the future for many large reinsurance groups like Hiscox. To maintain competitiveness in the current market and against the dedicated ILS players, firms like Hiscox need to have their own source of lower-cost, more efficient capital. It also would be foolish to not utilise a brand name such as Hiscox to attract capital from investors when interest in capitalising on reinsurance returns is so great. We’ll keep you updated as details of Hiscox’s plans for collateralized reinsurance and ILS funds become clearer.